Missouri is well-known for a few of our beautiful species of trees, especially our dogwoods (the state tree) as well as our giant American elms. Large and stately, elms can be found on some of the most elegant properties in the state. They give the spaces they occupy an old, established feel with their sprawling branches and big green leaves that turn bright gold in the fall. Unfortunately, many of these beauties are being lost to Dutch elm disease, but healthy specimens can still be found around Missouri in good numbers. 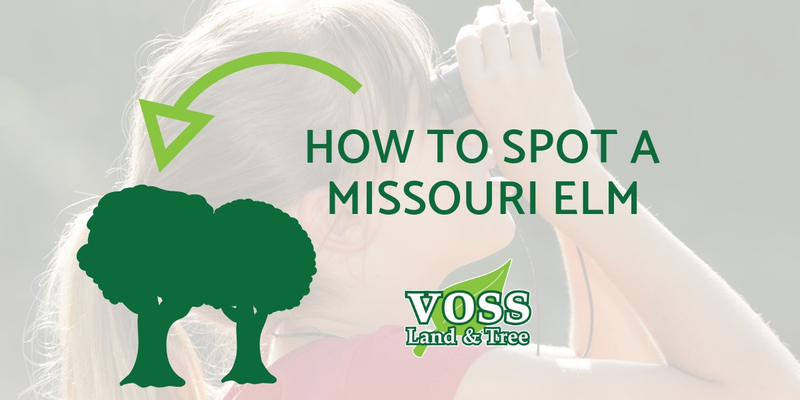 In celebration of Arbor Day (April 26th), this month we are sharing how to spot these famous Missouri trees while out and about. Have a question about a tree in your yard? Talk to our arborists to get all the tree help you need! Elm leaves are ovals and come to a point at the end, and they have jagged edges. The veins of these leaves alternate from the center vein of the leaf and come out on both sides. 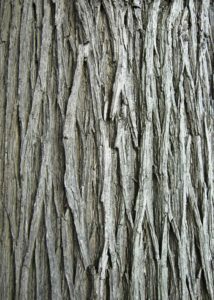 Elm bark is rough, and the edges are course and intersecting. The color should be a greyish brown color, possibly light grey. The trunks of elms sometimes slit or branch. Sometimes there are several (two or more) trunks that branch out of the base trunk. Trees with only one trunk that does not split is not an elm. 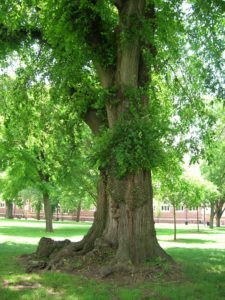 Unfortunately, there are a large number of our treasured elm trees that are afflicted by Dutch elm disease, a disease caused by a type of fungi spread by bark beetles. The disease is native to Asia, but has since spread to the Americas where the trees do not have resistance. You can tell if an elm tree is affected by Dutch elm disease if it withers or yellows in the summertime. Eventually, the branches will thin and wither. Because they cannot get nutrients from the branches, eventually the roots will starve and die. 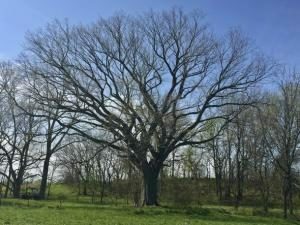 Ever since 2017, one American elm tree in western Missouri has crowned the largest American elm in the State. 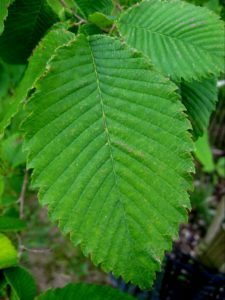 The elm, located in northeast Johnson County, scored higher than any other tree recorded in the Missouri Department of Conservation record book. The tree is even more impressive because of the prominence of Dutch elm disease in the country. The disease usually kills elms before they can get anywhere near this size. The exact location of the tree is on private property and therefore is not disclosed with the public. Dreaming of a yard full of trees this year? Maybe a fruit tree? Plant one yourself, or contact the expert landscapers at Voss Land & Tree to plant the tree for you this season! Our team of arborists will have your yard looking beautiful and full of foliage in no time.